Semi- brogues as the name suggests are a type of brogues but with semi-perforations. Perforations are the holes on your shoes which were originally punched to make sure that water does not stay in and can easily flow out for the soldiers that travelled by sea. A wing in this case refers to the design formed on account of perforations on the shoes that is in the shape of a wing. Let us understand semi-brogues! Semi-brogues are a type of brogues that have extra leather patches attached over the shoe with perforations. This adds more finesse to the show and the extra layer makes it sturdier. They are the dressier than long-winged. You can easily carry them off at work place and in style. The perforations are only on the vamp of the shoe and on the flap with the eyelets. Often you may come across a pair with perforations even at the back of the shoe again over additional leather stitched on your main shoe body.Also, if you wish for more casual ones, try the one with perforated design on the toe area of your vamp. 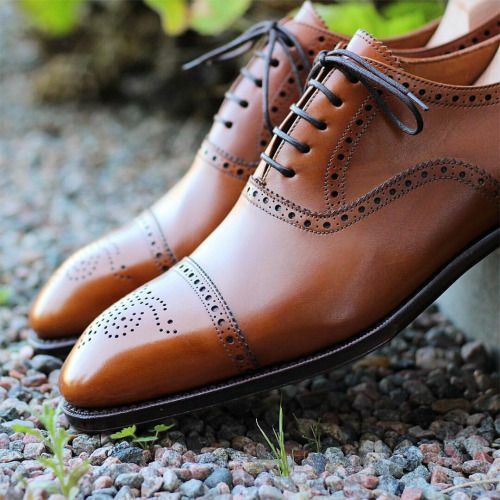 Semi-brogues look best in brown and shades of tan. Again the leather shoes with leather sole make it work appropriate. The rule in brogues is that more the number of perforations, more casual are the shoe comparatively and vice versa. Thus these are categorized as semi-formal. Again, semi-brogues in suede are casual only but just don’t waste your money for those. It’s better to opt for full winged in suede. The most important thing to remember is that you need confidence to carry them off. 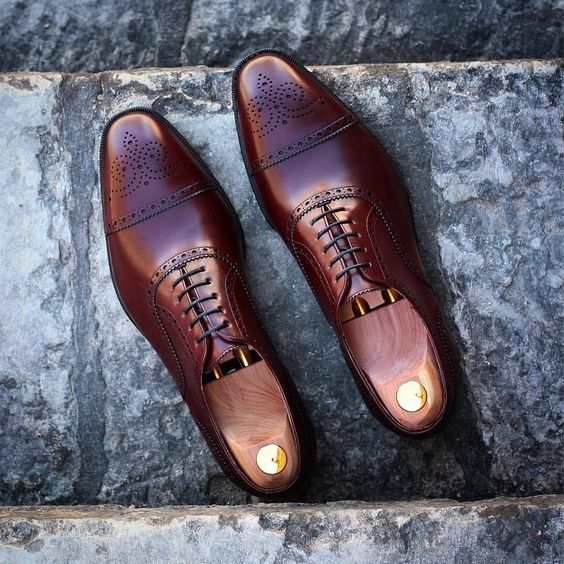 Compared to oxfords, brogues add more personality to you and character to your entire attire. Avoid pairing these up with jeans. Try flannels or trousers and if you do wish to pair them with denims, try a dark shade of fitted denim with a button-down shirt. These are not appropriate for suits. It is necessary to invest in a good pair because not only do they improve your image at work but are also worth every penny. A good pair of semi-brogues can last you almost 10-12 years!